The first recorded game of Polo took place in 600 BC between the Turkomans and Persians (the Turkomans won). In the 16th Century the game was firmly established in Persia, India and China with a recognized size ground of 300 meters long. In 1850 British tea planters discovered the game in Manipur on the Burmese border with India. Twelve years later the tea planters in Manipur formed the first polo club in the world. Later that year the Calcutta Polo Club, the oldest existing polo club, was founded. In 1869 Edward “Chicken” Hartopp, 10th Hussars, wrote an account of the game in The Field, while stationed at Aldershot, and, with brother officers, organized the first game – known then as “hockey on horseback” -on a hastily rolled Hounslow Heath against The 9th Lancers. The first polo club in England was formed in Monmouthshire. Today, polo is played in 80 countries worldwide. It was an Olympic sport from 1900 to 1939 and has now been recognized again by the International Olympic Committee. After the feeble attempt by Capt. Mowry to get polo going in California, it fell upon the English to revive the game in the 1880’s, when Mr. C.A. Summers and Captain Hutcheson established polo in Los Angeles. Once more, the efforts were unsuccessful. Nevertheless, persistence paid off and, in 1888, Dr. J.A. Edmonds, who had learned the game in Long Island, spearheaded the foundation of the Santa Monica Polo Club. Another of the founders, Senator John Jones, had a polo ground built, as well as a racetrack. In 1891, Robert Lee Bettner joined the group of Englishmen to establish the Riverside Polo Club. Polo, golf, and tennis were other avid California pursuits and were also showing the same progress from elite to middle-class usage as motoring and skiing. In the mid 1930s the City and County of San Francisco used PWA and WPA funds to clear a polo field in Golden Gate Park, adjacent to the St. Francis Riding Stables. One scans in vain the newspapers of the period in an effort to detect signs of community opposition or complaining letters to the editor regarding the use of public monies to facilitate this most elite of elite sports. Polo came early to California, with the formation of the California Polo Club in 1876. In the 1890s polo was especially popular in the Anglo-Canadian community centered in Riverside in Southern California and, a little later, in the Burlingame Country Club south of San Francisco. The California Polo Annual for the 1913-14 season lists a busy schedule with matches held a the Hotel Del Coronado, at the Hotel Del Monte on the Monterey Peninsula, at Riverside, Pasadena, the Midwick Country Club in Monterey Park in the San Gabriel Valley near Los Angeles, Santa Barbara, and Burlingame. The San Francisco Peninsula sustained a polo culture mature enough to support its own publication, the Peninsula Polo Annual, which chronicled the well-attended matches of the region. California Polo Club opened its doors again in 1995 and is a current member of the United States Polo Association (USPA). Since then, California Polo Club has offered its members, students and guests quality instruction, emphasis on safety and club play at one of the top arena polo facilities in the world. For the last 18 years, the California Polo Club has been the place to learn and play polo in Los Angeles. California Polo Club was the proud host of the U.S. Arena Polo Open, the most prestigious arena polo event in the world, in 2007, 2009 and 2011. The CPC team led by Domingo Questel won the Arena National Championship in 2011. Additionally, the club annually hosts numerous USPA sanctioned and local tournaments as well as Clinics by some of the world’s top polo instructors like Rege Ludwig and Tom Goodspeed. The California Polo Club (CPC) is your ultimate Los Angeles polo destination. The club is located just 15 minutes from Hollywood and CPC offers members, students and guests the thrill of playing polo that is no longer reserved for only the elite. 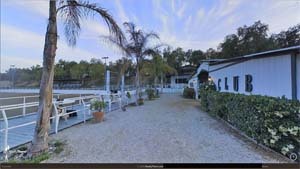 The California Polo Club offers full service horse training and boarding, year round club activities and a dedicated teaching facility. The club also offers opportunities for reciprocal play at nearby California grass clubs like the Santa Barbara Polo Club, Empire Polo Club, El Dorado Polo Club and San Diego Polo Club.